Are you looking for a full-service nail salon? At Camargo Nails LLC, we go above and beyond to meet your nail needs. 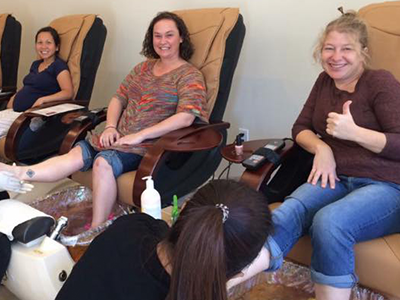 We offer an array of services from manicures and pedicures, to hand and feet treatments. We promise you will leave feeling refreshed and beautiful! 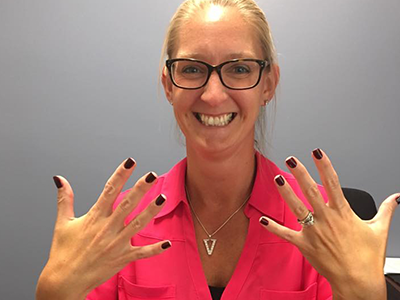 If you've had a long day or it's time for your next treatment, come on in to our nail shop in Madeira, OH. You will receive the best nail service you've ever had. Once you come in, it is time for you to sit back and relax as we take great care of your nails. You deserve to be pampered and treated to the best nail care. For a totally exhilarating experience, you can get one of our expert manicures and pedicures. We know that you want to look your best, so we have some of the most popular shades and are up to date with the latest techniques in nail polishes and gels. If you want custom nails, you can choose from our many options, including acrylics, gel, or shellac nails. We want your entire experience to be pleasant and relaxing. We will work on your nails to make them standout among the crowd or we can give you a natural look. We do long nails or short nails depending on the style you would prefer. You will leave the salon refreshed and loving your treatments. We also offer hand and feet treatments along with your manicure or pedicure. It is essential to take care of your nails, cuticles, and skin so that they will maintain their beauty. With our full-service salon, you will find that we have everything you need to help maintain your nails. We cater to each and every client's personality and style! Come treat yourself with a luxurious experience, you deserve it! Call us to make an appointment today!